We specialise in airport taxis or airport transfers from Leicester to all UK major airports for corporates companies, individuals and groups, with the accent on a courteous and thoroughly professional personal service all at affordable prices. Most of our work is based on high quality long distance journeys, with more and more bigger corporate companies joining us, because of our reasonable rates and high standards in our service. We have a fixed price policy, so there is no sudden surcharge due to the time it has taken and the distance the car has travelled for the agreed journey; that is again different from one of the biggest taxi company in the world. We are totally committed in providing a first class service tailored to the individual needs of each client. Our drivers have miles and miles of experience in travelling long distance and hence our cars are very comfortable to our clients. A2B Leicester Taxis is the best rated airport taxi company in Leicester. We have recently added more WiFi access to our cars for all our corporate travellers. Our aim is to provide excellent, reliable and high standard service to our clients, who could be travelling on business or for leisure, we always make sure that our service is tailored to your requirements. As lot of our work is corporate based so if you are booking a taxi for other people you need not worry, we will give them the professional quality service they would expect. 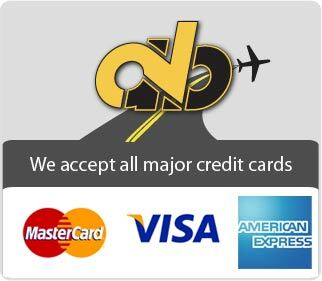 We also welcome corporate account customers, with few normal formalities your account can be setup for you and shall be happy to offer you a monthly invoicing facility or direct debit on our airport taxi services. Need to get that important or valued visitor, do not worry, Our Meet & Greet service, we will ensure that allocated driver is waiting to meet your visitor in the arrivals area of the terminal. Now need to pay for your taxis by Credit, Debit or Amex card, we will be happy to take those too, subject to terms and conditions and normal security requirements, just so that we protect your cards by the fraudulent users and your receipts will be emailed to you directly. (There is minimum spending required per journey). Finally, from the moment you contact us, we’ll do everything we can to ensure that your booking and transfer go as smoothly as possible. Our experienced driver with extensive driving skills and knowledge of UK motorway network will drive you to or from the selected airport throughout UK. Booking with A2B Leicester Taxis for your airport transfer, we ensure to take the stress out of your journey by monitoring your flights, so if there was a delay or cancellation, we will make sure your airport taxi or transfer is the least you need to worry out and we will keep you fully informed of this. A direct mobile number provided so no waiting in a line to be answered. Excellent service, arrived on time and very professional….. would definitely recommend… we forgot our daughters baby blanket – but Hiten was kind enough to over his emergency fleece blanket which he keeps in his vehicle…… this small gesture made life a lot easier for us knowing that our daughter will stay warm….